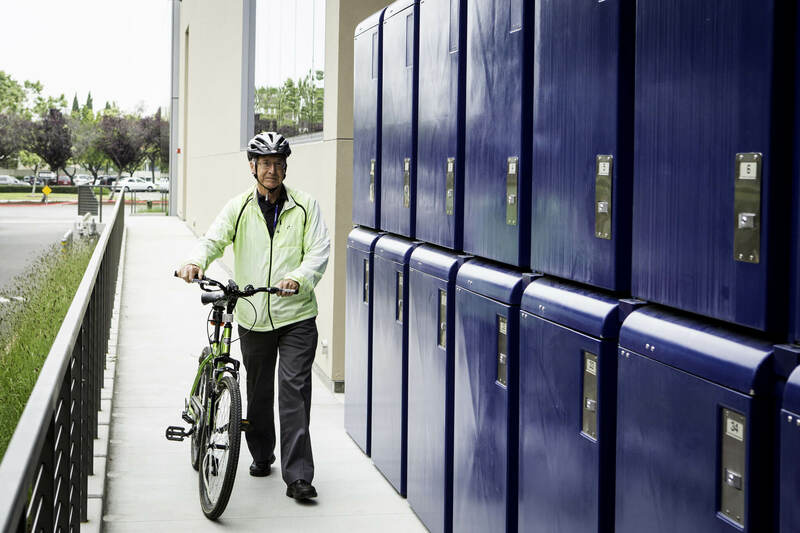 ProPark® Double-Tier™ bike lockers are designed to maximize space efficiency to offer lower cost per square foot with twice the amount of bike parking without increasing the locker footprint. 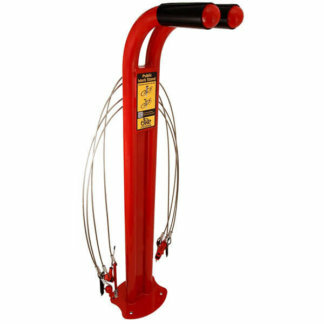 CycleSafe’s ProPark Upper-Tier Unit mounts directly on top of the ProPark Bike Locker. 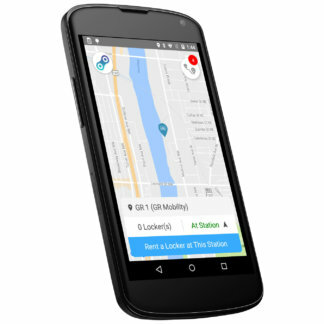 Lock access is located on the lower right corner for ease of access. Simply lift the bicycle and place the rear wheel on top of the first-tier roof panel, roll the bicycle into the locker, and secure the door. 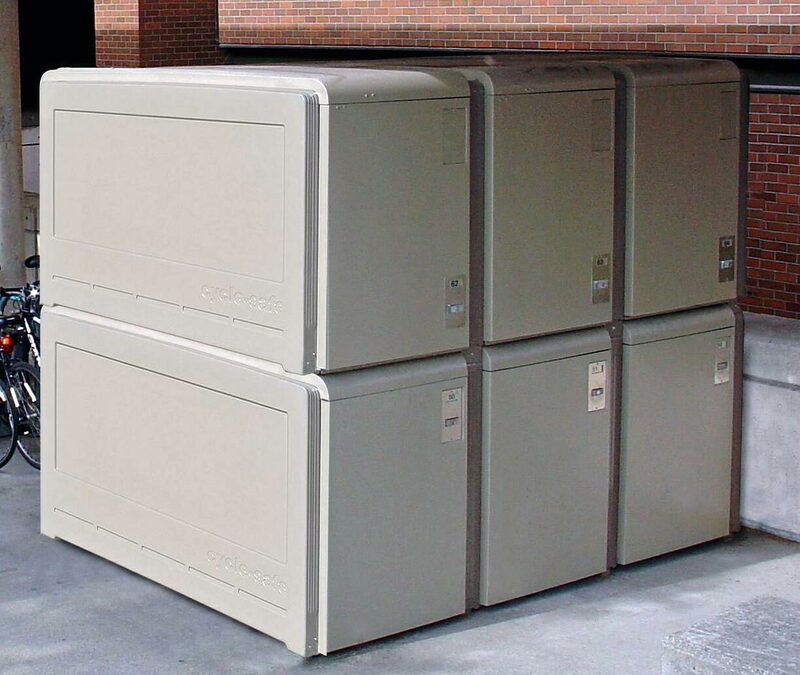 ProPark’s modular design offers bike storage capacity options to meet site and program requirements. ProPark Bike Lockers are specified as standalone starter units, or extended into locker banks with adder units. 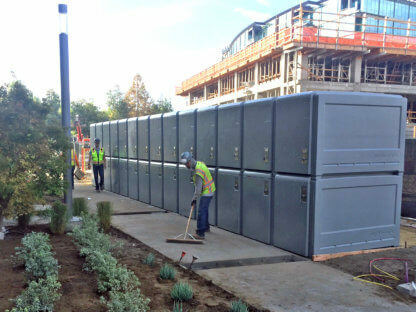 Bike locker banks with capacity for four bikes to fifty-six bikes have been assembled. Overall height of a CycleSafe Double-Tier Unit is approximately 101″. 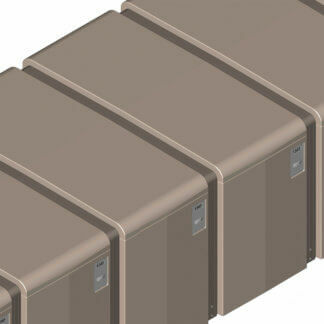 They are available as stand alone Starter Units or can be configured in rows with Adder Units. A retrofit kit is also available for existing CycleSafe bicycle lockers.